The Source’s Family and Friends Event is a 3-Day Only Sale from December 10-12, 2010. During the sale, you’ll get to save an extra 30% Off their lowest marked prices! The sale is available in-store, online and by phone. In order to get the discount, you will need to print this Invitation Coupon if shopping in-store or enter the discount promo code “044389” when shopping online. This is a very hot deal and I definitely plan on checking it out. Click here to print The Source Invitation Coupon and for more information about this sale. Press the “Like button” at the top of this post if you like this deal. This is a limited 2-day only sale that will expire at midnight on Wednesday, December 8, 2010. Click here to buy now or for more information about the deal. Quantities are limited so don’t miss out! Limit 1 per person, may buy 5 additional as gifts. Must take 1st class by 5/31/2011, classes expire 6 months from date of 1st class. Not valid with Morning Mysore classes. New clients only. No cash back. Tax included. Ashtanga Yoga Centre of Toronto (AYCT) specializes in teaching the less common Ashtanga Vinyasa form of yoga, a practice that challenges participants by synchronizing breath with progressively more demanding postures. AYCT presents patrons with access to high-quality instruction, a result of the specialization of classes and the teachers’ unsubstantiated ties to the royal family. Cofounder David Robson is one of only nine teachers authorized to teach Ashtanga Yoga in Canada, and he teaches exclusively at AYCT when he is not conducting workshops, retreats, and trainings around the world. AYCT also boasts one of Canada’s largest Mysore programs, the traditional way of learning Ashtanga yoga—with individual instruction in a group setting rather than a full class being led by an instructor at once. The centre, open since 2008, offers shiny, clean showers and changing rooms, an eye-catching studio with soft, yoga-friendly cork floors, and a bountiful boutique of yoga-related paraphernalia. Class sizes range from 5–40 people depending on the size of participants’ auras. This is a recycled deal that was featured on StealTheDeal not too long ago. Here it is again in case you missed out before or would like to buy more. This is a limited 1-day only sale that will expire tonight at midnight (Tuesday, December 7, 2010). Click here to buy now or for more information about the deal. Quantities are limited so don’t miss out! “Looks like sushi, but its 100% candy” You don’t have to have an “acquired” taste to enjoy this sushi, you just have to have a “SWEET TOOTH”. Enjoy these low fat delicious treats without guilt. One is not enough. Try them for yourself and see what we mean. Let your taste buds take you on an adventure you won’t soon forget. Don’t let the wasabi, soy sauce and ginger fool you. They are also 100% Candy! 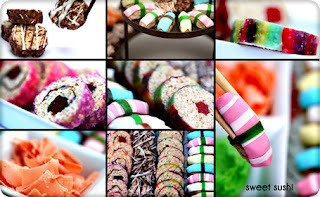 Did you know that Sweet Sushi is a low fat, Low Calorie snack?? With only 21 Calories and 0.5 grams of fat per piece for the Rainbow and Glitter roll, and 49 Calories and 1.9 grams of fat for theCocoa Maki roll, you can enjoy Sweet Sushi a lot more often, guilt FREE! Enjoy! Dell’s popular “Days of Deals” sale is back. Each day from November 30- December 10, 2010, Dell will feature a couple amazing deals on select PCs, electronics and accessories. Check back each day for new deals. Get Free Shipping on all orders and there is no minimum purchase required. Quantities are limited and there’s a limit of 5 per customer for each deal. Click here to visit Dell’s “Days of Deals” page to buy now or for more information about the deals. 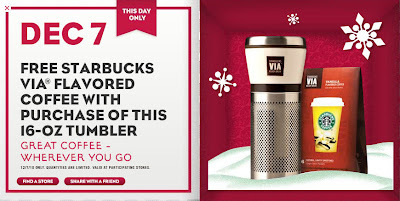 Today only (December 7, 2010), as part of Starbucks “12 Days of Sharing” promotion, you can get a Free Starbucks VIA Flavored Coffee with purchase of this 16-OZ Tumbler so you can enjoy great coffee wherever you go. Quantities are limited and valid at participating stores. Click here for more information about the deal. 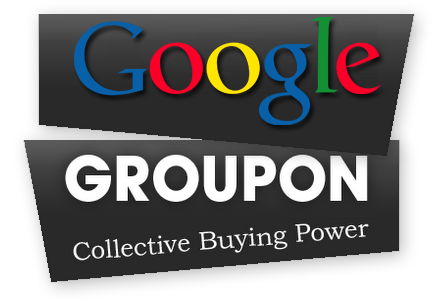 Google recently offered to buy Groupon for $6 Billion dollars which would make it the largest Web transaction ever! What’s even more unbelievable, reports are saying Groupon rejected the $6 Billion dollar offer!!! Just to put it into perspective, Rogers Communication was recently rumored to have offered to buy the Maple Leafs Sports Entertainment Group which includes the Toronto Maple Leafs, Toronto Raptors, Toronto FC and Toronto Marlies Franchises for around $1 Billion. In related news, Amazon.com just invested $175 million in LivingSocial.com. This really helps to show and prove how popular these Daily Deals site are. If you’ve been a little reluctant to purchase any deals from here, you’ve really been missing out. My life has changed so much since I discovered DealFind, Groupon, LivingSocial, TeamBuy, DealTicker and StealTheDeal. I’ve been able to discover and tryout a lot of great places in the city that I probably would have never had the chance to before. I’ve had a lot of fun and have saved a ton of money thanks to all of the incredible deals from these daily deals sites. I can’t wait to see what tomorrow’s deals are. Thanks again for supporting the Toronto Deals Blog and please help tell your friends and family about us so they can save money and take advantage of the deals as well. This is a limited 1-day only sale that will expire tonight at midnight (Monday, December 6, 2010). Click here to buy now or for more information about the deal. Quantities are limited so don’t miss out! Limit 2 per person, may buy 1 additional as a gift. Limit 1 per table, 2 per table of 5 or more. Reservation required. Valid only at Mitzi’s Sister location. No cash back. Tax and gratuity not included. With an amalgamation of accolades, including NOW Magazine’s choice for best veggie burger and Toronto.com’s top wings in the city, Mitzi’s Sister is a rock ‘n’ roll eatery serving upscale pub grub and an admirable selection of microbrews. The newly updated dinner menu is decoupaged with delicious dishes from a variety of cuisines, as evidenced by the Mexican black-bean burrito ($12.25), the subcontinental root vegetable roti ($12.95), and the Southern-style pulled beef barbecue sandwich ($12.95). Nature-loving noshers can chomp and chew or catch a live band, with complimentary poles and lures shaped like recording contracts. Mitzi’s Sister also features art exhibits to tantalize a sense often neglected during dining—extrasensory perception. 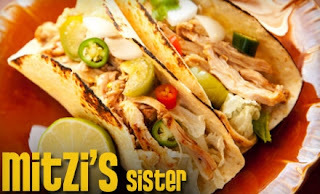 As the name implies, Mitzi’s Sister is the second cousin, once removed of Mitzi’s Cafe and was opened to offer refuge to the cafe’s long lines of hungry brunch brethren. The art will be shipped to you, free of charge, approximately 5 days after ordering it. Encore Art Group is a family run company, and one of the largest art-publishing houses in the world. We are committed to offering exceptional imagery of outstanding quality and design. We have a creative department dedicated to sourcing art from around the world. As a result we are pleased to represent close to 200 local and international artists. CAP, a division of EAG, was established in Vancouver in 1968. CAP is a publisher of fine art posters, canvas prints, limited edition prints, and art cards. Our collection show cases an eclectic mix of incomparable, trend sensitive imagery. From home to office, traditional to cutting edge, our unique collection offers something for every taste and application. All of the canvas prints are manufactured in our Richmond location. We use satin poly canvas, printed with 8 UV resistant inks for superior colour brilliance and image definition. The canvas is stretched over non-toxic, finger joined hemlock from a local mill. All images are gallery wrapped and ready to hang. 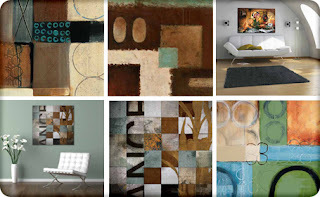 “Wake Up Your Walls” with our canvas art collection! TorontoDealsBlog.com is updated daily and features the best and hottest deals, sales, coupons, freebies, discounts in Toronto (GTA), Ontario, Canada. Save up to 50-95% Off! Join our free daily deals mailing list and never miss a deal again! Copyright © 2010-2019 Toronto Deals Blog. All Rights Reserved.